In 1952, I was born in Manjimup, a small country town in the South West of Western Australia, but as my parents divorced early in my life I went to several different schools, finally completing high school in Perth. In my teen years I thought I was an atheist. But I soon found out that God had my number and He was after me. I studied mathematics, chemistry, physics, and cosmology. I was not brought up in a “Christian” family and received a very secular education, but did attend Sunday school, and, back then Scripture classes were taught in the public schools. We even prayed the Lord’s Prayer every morning at school assembly. How times have changed. One interesting thing I do remember though from very young. When I was about 8 or 9 years old I heard my father ask my mother the question, “Who was Cain’s wife?” In the book of Genesis one of the sons of Adam and Eve, Cain, killed his brother Abel, and we don’t read much about his life after that except the scripture tells us Cain took a wife, and had children. Well, who was she? This question not having a logical answer, to my father, meant that the Bible must be wrong. See the importance of good foundational biblical teaching, early in the lives of our children? Those sort of influences did affect my thinking, but also that of my father, who died in 2013, still rejecting the saving Grace of the Lord Jesus Christ. But there is a logical answer to that question, like many others I had back then. The answers are found in the book of Genesis and they are consistent with what we have learned through good operational science. By reading the straightforward history of the book of Genesis, without putting it in a straight-jacket dictated by modern scientism, one gets a clear understanding of the real history of the universe. By the time I was 15 years old, I became a sort of an intellectual Marxist. With some friends we even formed the Manjimup Senior High School Marxist Party. The headmaster was not too thrilled, believe me. But then my thinking was founded in atheistic beliefs, just like Karl Marx’s was. See Totalitarian government is communism. I believed the Universe had no beginning and no end—an eternal universe. This idea was popular back then before the big bang theory gained some much ground. These ideas were based on the Steady State cosmology of Herman Bondi, Thomas Gold and Fred Hoyle. It was the eternal universe. But the theory itself was not so eternal, as in 1965 the discovery of the cosmic microwave background (CMB) radiation had really thrown this model into a tailspin. The CMB was a prediction of George Gamow in 1948 and hence was heralded as ‘proof’ of the big bang cosmology. But that conclusion is not so robust when you look at all the evidence. 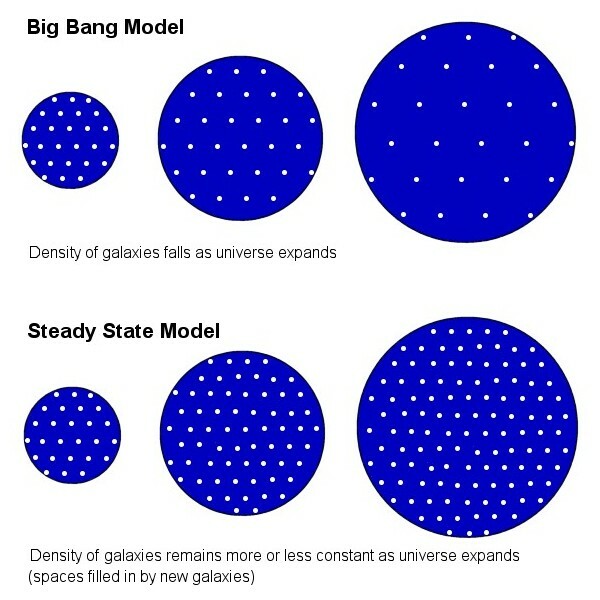 Steady state model has no origin in time but the big bang does. This fact is has been very unwisely used by some evangelicals as a defense of Genesis creation. Yet, at that time, I still really wanted to believe in the eternal universe, even in 1968, when I co-authored a book where we reviewed different cosmologies at that time in 1968. My best friend and I won second prize in a state-wide science competition with that in the second last year of high school. 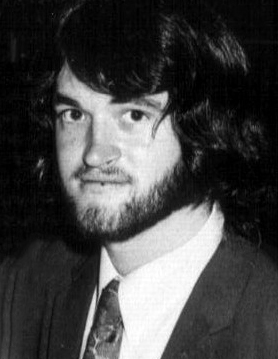 Then in 1972 I was regenerated by Christ. Before that rebirth I had become an enemy of Christ. My best friend, who co-authored the book on cosmology with me, became a Christian so I took it out on all Christians I could find. This attitude continued as I went to university where I would argue with them about the origin of the universe, the earth etc. They had no answers. But God had plans for me and I fell in love with Catholic girl, who later went on a Catholic aboriginal mission for 2 years in the Outback of Western Australia. The Outback is as the word implies out of the cities in the desert areas, with very few trees, mostly populated by kangaroos, emus and some camels and goats. The only religious (I mean “religious”) material that I had was from the Roman Catholics. The fact that she went away to serve a god I did not believe existed, and many other troubles and stresses I had, had me resisting God until one night I could not resist any longer and I broke down and called out “God help me!” I prayed and He, the Creator God, heard my call. That night He came into my heart and revealed Himself to me. In the Catholic literature was one word picture that made sense to me, that was the picture of Jesus standing at my heart’s door (Revelations 3:20). It made logical sense to me that if someone was at the front door knocking and I did not open the door, there is no way I could meet him. This was probably the first time anything made sense from Christians who would often tell me to ‘just believe’. Some people obviously need a rational argument before they make that decision to trust in Him (1 Peter 3:15). Though it was a misapplication of the meaning of the verse, Jesus humbled me until I cried out to Him knowing I was a depraved sinner. I knew I could not just believe in my own mind, and the Lord gave me the power to believe in Him. There was no preacher, there was no one but Christ. His light shone on my heart. There was nothing I did or could do. He gave me faith and I accepted it. And though my external problems were still there, the turmoil within stopped and I had a new outlook. He changed my stony heart to one of flesh. I did not seek Him. He backed me up against a wall and humbled me and I repented (turn my heart and mind to Him). Instantly it was blessed assurance and I started to seek and draw closer to Him. And I really wanted someone to teach me His Word. I craved it like water for my thirsty soul. I knew He chose me. Well, I learned that later after I tried to tell others about the revolution in my heart. Since I had little knowledge of churches, and my girlfriend’s family was Catholic, I went down to the local Roman Catholic priest and he gave me some instruction in salvation by grace through faith, because that particular priest was a follower of the writings of Cardinal John Newman (1801 – 1890) who left Anglicanism and joined the Roman Catholic Church. The priest passed on some of his teachings to me. The details aren’t so clear now, but besides the emphasis on being a Roman Catholic I definitely got the message of salvation by grace through faith. Amazing! God works in strange ways. John Newman was really a Roman Catholic while he was in the Church of England and did much to send many Anglicans over to the Pope. But what is amazing is that he brought over any such teachings or that any priest would even teach them. The priest even told me I did not need to do the confession thing, as I knew enough at that time to know that Jesus Christ was my high priest and I was not going to confess my sins to a man. This means I knew I had a high priest, Jesus Christ, who made intercession for me with the Father. He paid it all, forever, for all my sins and redeemed me from Hell forever. This I understood, which excited me. I grew in my love for the Lord; maybe the brokenness I felt and the isolation from anyone who loved me had the effect of driving me closer to the Lord. When my father and my mother forsake me, then the LORD (Jehovah) will take me up. Psalms 27:10. I grew in my zeal for the Lord, I knew I needed to serve Him and within my limited knowledge at the time I joined the local Roman Catholic church. I would attend the morning mass every day, 7 days a week. Monday to Saturday it was at 6.30 am with only me, the priest and one other woman attending. But I never really accepted the Catholic traditions, and I found their ceremonial stuff dead. I did get the real message as I read the Bible I had then (“Good News for Modern Man”; now I would call that ‘brackish water’ but still I got something from it). As a reborn babe, new-born in Christ, I understood the atoning work of Christ in my life. I was so overjoyed to the point that my parents could not understand me. They thought I had really gone mad. I finished my fourth year of a bachelor degree in physics with first class honours, at the University of Western Australia, but turned down a postgraduate fellowship to do a PhD. I had excelled in my studies and the professors could not understand it. I just seemed to have entered another dimension (like in that TV series The Twilight Zone) and my life could not continue as it was. Actually, at that time, I had only decided to take a year off further studies to consider my options, but I knew I had to find what God wanted for me in my life. What I believe, in song. Hi John, I look forward to part 2; I hadn’t realised you were once an atheist. Since I was born in the 80s, can you give me an insight into the culture of your high school days: back then, when steady state cosmology was the leading model, was it seen as a perfect and rigorous model (like how atheists would see the big bang today), or was it more like people were lots of flaws in it, but it seemed like the best possible cosmology at the time? In the period 1967-69 was when I was in the last 3 years of high school. The culture at high school in Western Australia was just starting to break out of the norms that came with the Christian culture that we inherited from England. I remember being taught a very whitewashed version of Mao Tse-Dong and of Marx’s communism such that I saw it as almost utopian. Still there was a level of respect for law and order, parents and the morals of Christian teaching. It was really the 1970s that saw radical change, with the Vietnam war, the Beatles, ‘flower power’, hippies and rebellion against the laws that made the UK and the USA once very great. I entered university in 1970. I think the high school culture in the public schools went down badly after I was gone. The Steady State model was once the dominant view. Nearly all cosmologists back then, maybe more so now, were atheists. So the Steady State (SS) model was ideal for them. No wonder they called the big bang proponents ‘evangelicals’ even though they too were largely atheists. Yes, I think they saw the SS as being perfect. That was how I saw it any way. The universe had existed for eternity, with no beginning and therefore no end. But you must realise the evidence was very scant back then, and the errors were huge. Though the discovery of the CMB radiation sounded a death knell for the Steady State theory, it took time through the mid-1960s to early-1970s for the big bang model to gain in ascendancy amongst the wider populace. In the late 1960s its various forms were being discussed, and I favoured the cycloidal model, because it too had the universe continuing at least forever, through one big crunch to the next big bang. The Steady State supporters tried to hang on, but their base diminished in academia. Decades later Fred Hoyle and others added to it a universe with oscillations and called it the Quasi-Steady State model. Years ago I reviewed Hoyle’s last book on the model. I think you nailed it with your last comment–‘the best possible cosmology at the time’. I would say if the evidence had been able to reject the big bang back then the atheists today would be much happier. They don’t like the origin in time, and people like Hawking work hard to get around it. Thank you for taking the time and expense to maintain this website. Thank you for the work, you continue to do, in spreading the gospel. I have taught a few Sunday School classes and the like. In an effort to better prepare the children I was teaching, I began to study the false theories I knew they were being taught, in the hope, that I could point out the problems and errors in these ideas, before these ideas had become accepted as fact. I honestly believe the only thing necessary to discredit the “Evolutionary/BigBang” model is to properly explain it. However, I still do have a few physics based questions and I want to make sure everything that I’m teaching is correct. Could I ask you these questions? Larry, Please give me your questions. I’ll do my best to answer them. Sorry, I had some problem with the wordpress login and wasn’t sure if my comment got posted, so I made up a new account. The first question I had, has to do with why the “Big Bang” Singularity did not instantly collapse into a black hole. I’ve found a few answers online ranging from – everything at the point of the big bang was the same, so there was nothing else for the new universe to collapse into to – the claim that the new universe that sprang out of the singularity was born in a expanding state and this rate of expansion was enough to overcome matters’ natural tendency to attract. On your first question, if the baby universe re-collapsed it would be back into the singularity not a black hole (BH). The reason is a black hole has an event horizon, i.e. spacetime exists outside the points around the BH where the gravitational field is so strong that even light cannot escape. But the singularity involved all of the universe, hence there was no event horizon. They say it had no ‘hair’. Understand though the putative universe they speak of must have been infinite in size, as now they claim it is infinite in size. Only our visible part of the universe started in an infinitely dense state of no dimension. There is a problem for them there. All the rest of the universe was also in the singularity of no dimension. Read THE BIG BANG THEORY VS THE BIG GOD THEORY and THE SINGULARITY—A ‘DARK’ BEGINNING. There is a problem though, and it is acknowledged. The expansion, not really an explosion, but a smooth process, out of the singularity must be finely tuned, else they could have re-collapse of the cooling matter that supposedly condensed out of the plasma that formed out of the vacuum. This could have occurred as the formation of many BHs, or the galaxies as we see them, or no galaxies at all. It is a serious fine-tuning problem, which is tuned with the density of dark matter, some fictitious stuff the theorists makes up, because what other explanation could there be? In agreement with earlier results, we find that the amplitude of anisotropy is significantly larger in comparison to the prediction based on CMBR measurements. The extracted speed is found to be roughly 3 times the speed corresponding to CMBR… The current situation with radio analysis is clearly puzzling. All the four analysis [5, 7, 8, 9] find direction in agreement with the CMBR, but disagree on the extracted speed. Although,  claim results roughly consistent with CMBR, the large amplitude found in  suggests a potential violation of the cosmological principle. As I understand it, the WMAP and Planck satellites painted a picture of the universe divided into a warm half and a cold half which are divided by the equator of the planet earth. The scientists then attributed this to the motion of the earth through the universe. Meaning the direction we are moving toward seems hotter, while the direction we are moving away from seems colder. But if they attribute this effect to the motion of the solar system moving at 369 km/s, how can they explain it away if the solar system is moving 3-5 times that speed? Larry, Thanks for your question and highlighting this paper. The CMBR dipole is meant to arise from our solar system’s motion against the rest frame of the CMB source, which supposedly represents the largest distance scale in the universe. There is evidence that is contrary to that assertion, namely the fact that the CMBR does not cast shadows in the foreground of galaxy clusters. See The Big Bang fails another test. They compare the CMBR dipole term to that from the number counts and intensities of radio sources, i.e. to the supposed Doppler motion of the solar system with respect to sources distributed on smaller scales than the CMBR. The paper states that convergence with the CMBR dipole does not occur even up to 300 Mpc (about 1 billion light-year) scale. The CMB is expected to be isotropic (due to the almost perfect black-body distribution of energies, after the dipole is extracted, and the uniform temperature measured in all directions). Though there seems to be some conflicting data from various observations and interpretations, the authors then suggest the disagreement in the magnitude of the dipole term measured from galaxy counts is due to anisotropy in the very large scale structure of the universe in violation of the cosmological principle, which is very bad for the big bang model, which absolutely needs that assumption to be true. Their suggestion then is that the early universe was anisotropic when structure was being built, but that disagrees with the Planck satellite team saying the CMBR dipole is due to local motion against an isotropic background radiation. The authors suggest the way out of this dilemma is from an era of the anisotropic expansion (in the period before Inflation) which did not affect the CMBR but it affected structure formation. The problem with cosmology is how you interpret the data, and the only way to so-call test your models is with computer simulations. This is the problem of cosmic variance. But these results highlight another problem for the big bang. I have a few question pertaining to the “Axis of Evil”. First, let me state I am not a geo-centrist. If, for no other reason, I have a hard time reconciling a earth centered universe with biblical prophecy. It seems to me, according to Matthew 24: 37-43, we are supposed to be headed back to the days of Noah, could humanity really be hard hearted enough to observe the Earth is the center of the universe and then still say, “Oh well, It’s just another statistical miracle that occurred during evolution?” It would be great if the Earth was admitted to be to be the center but I can’t ever see the scientific community admitting it. Nonetheless, the data just seems to keep pilling up. Please tell me if I have made a error in my understanding of the “Axis of Evil”. The one plane of the Quadrupole and three planes of the Octopole are parallel to each other. When combined these planes are perpendicular to the ecliptic plane. The normals to these planes are parallel to a plane created by the two equinoxes of the planet Earth. On geocentrism please read THE COSMOLOGICAL PRINCIPLE AND GEOCENTRISM. However as I have published before there is evidence for a near galactocentric position for our galaxy in the Universe, but it is nothing like geocentrism. All (1 + 3) normals of the planes of the Quadrupole and the Octopole expansion terms, except for 1, are roughly parallel and lay in the plane of the solar system, and align with the equinoxes. Essentially you have it right. And these alignments have been strengthened in the Planck satellite data to much higher order expansion terms. I will write more on that in the near future. Read the section on these CMBR anisotropy expansion terms in THE BIG BANG IS NOT A REASON TO BELIEVE!